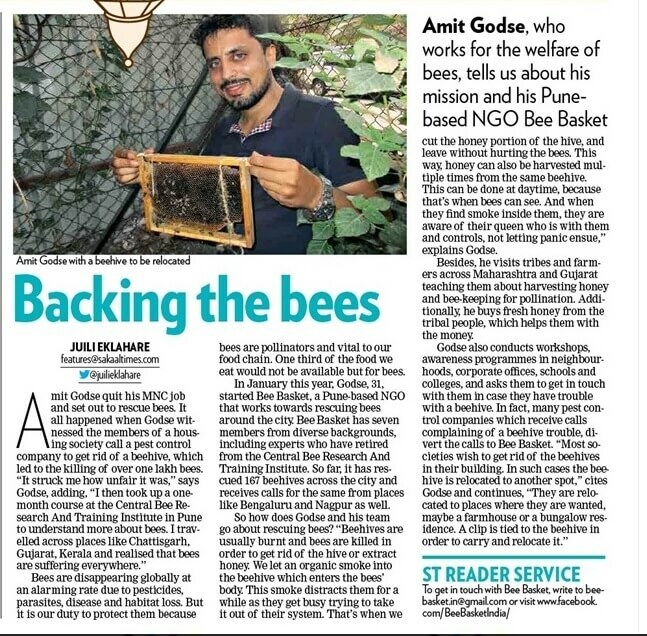 Amit Godse, a mechanical engineer by education, is the founder and owner of Bee Basket Enterprises Pvt.Ltd. 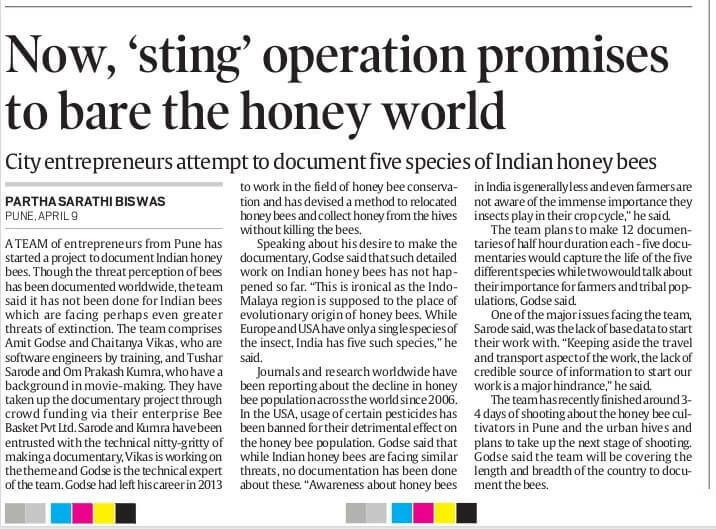 He is fondly called as the bee man of Pune. 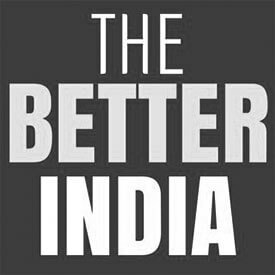 After graduating from the college, Amit worked in Mumbai for five years as software engineer at reputed French based software multinational company. 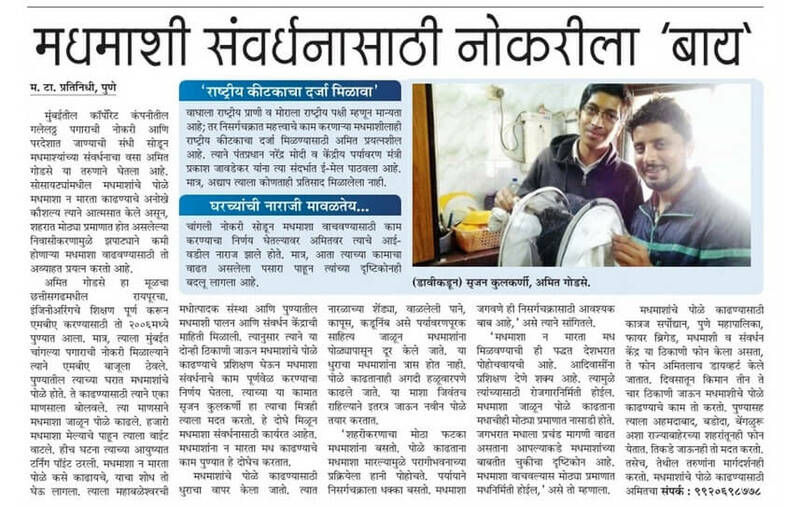 One day when he was on holiday at his home in Pune, he found some people destroyed a Bee hive using pest control in his housing society. 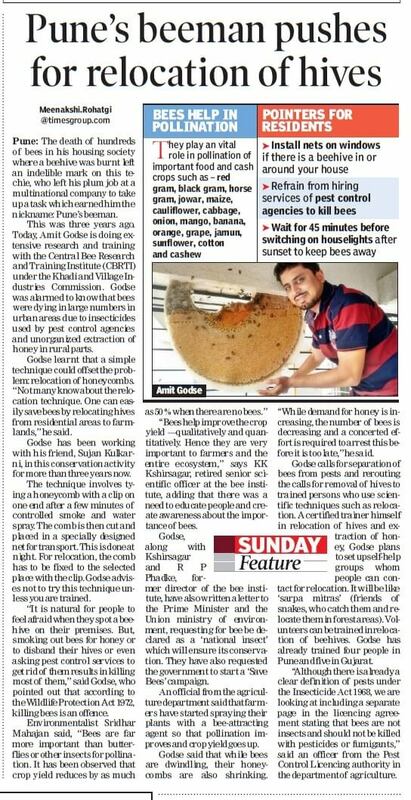 He was saddened by this ruthless method of killing bees who actually did not do any harm to the residents of his housing society. But those bees were killed simply out of fear that they might do some harm to the residents. 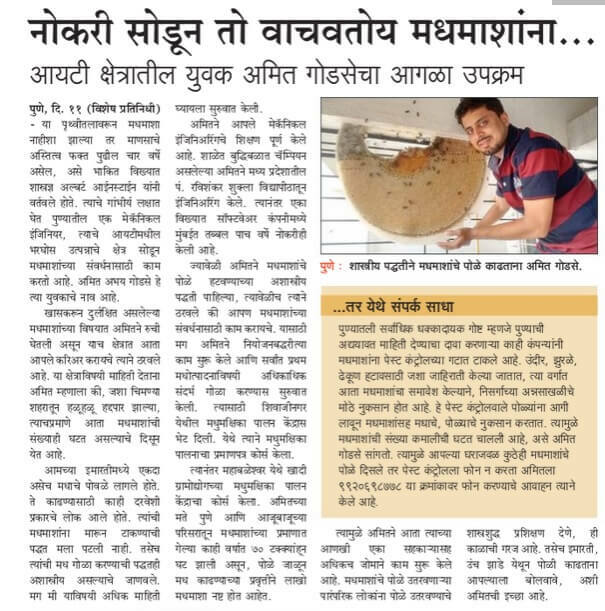 Amit was greatly affected by this whole incident and at that very moment he decided to take some concrete action to save honeybees. 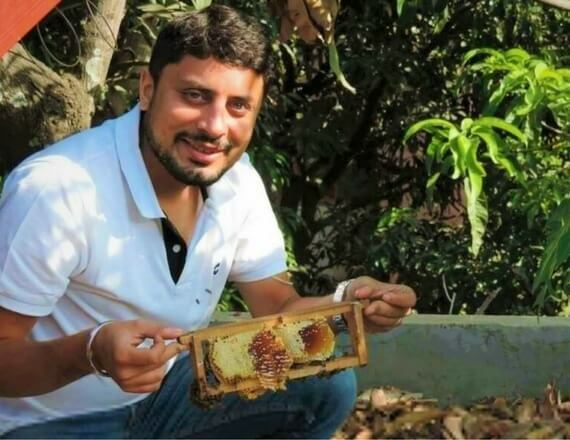 After travelling across India to learn the importance of bees and techniques to handle all species of honey bees, he decided his life’s mission-to save honeybees. 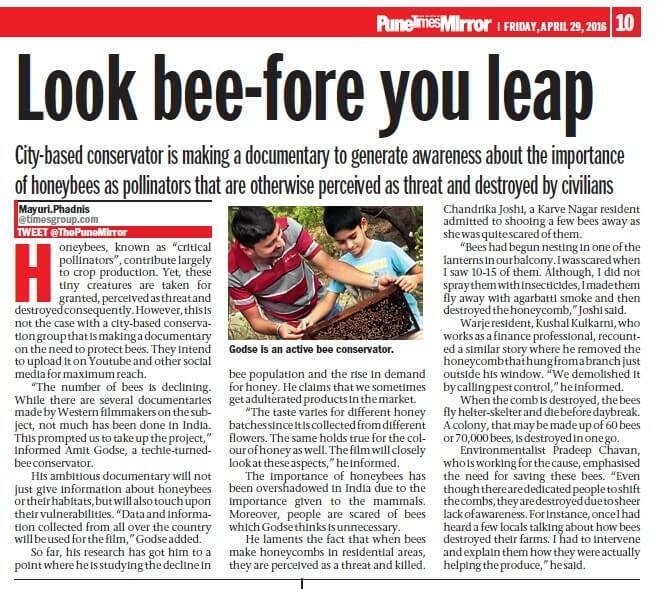 Then he started saving honeybees by taking awareness sessions at various places like schools, colleges, corporate offices, housing societies, environment institutions, etc. 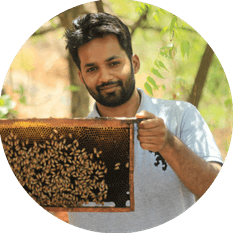 Also, he provides professional service of relocating Bee hive and he conducts bee keeping workshops along with Bee Basket team members. Why should you choose honey? Honey color, aroma & taste differ based on flowering sources used by bees. No added sugar, flavour or preservatives. 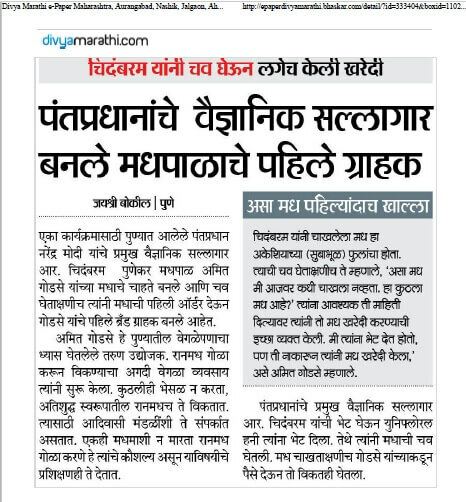 Pure natural honey helps in maintaining good health and curing diseases. 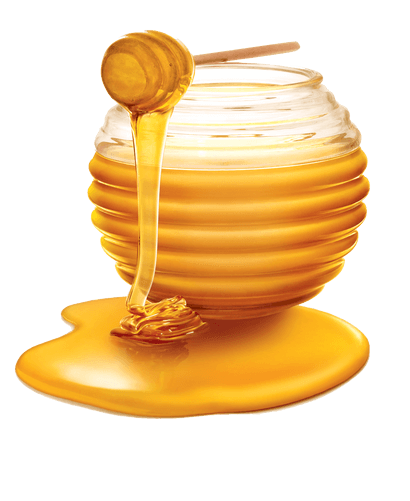 Honey is extracted without killing bees and destroying hives. Contains richness of nutrients. Crystallization of honey is a natural process without affecting honey quality. Honey is properly tested & released after acquiring necessary certifications. You can select the delivery frequency that best fits your needs. 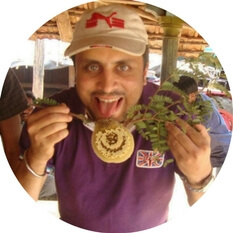 Amit is a Mechanical Engineer from Raipur, founder & CEO of Bee Basket. 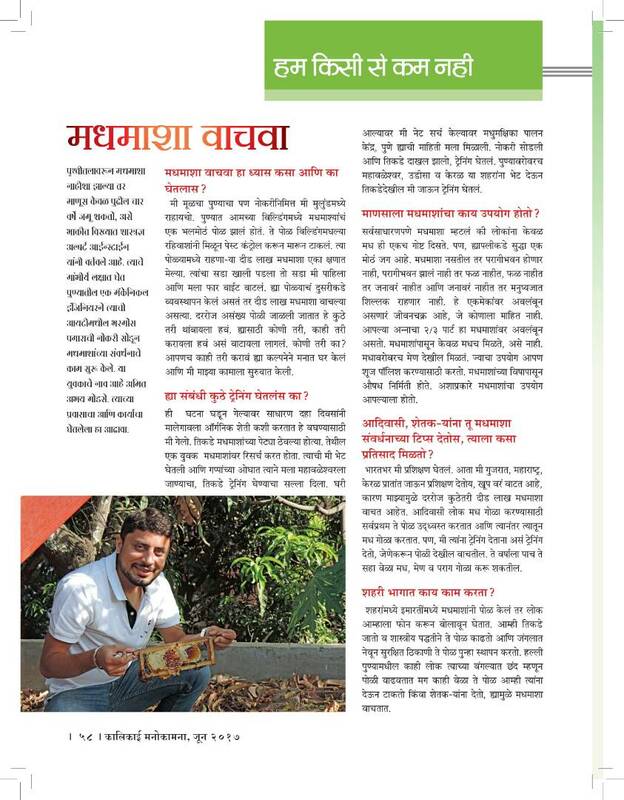 He is an environmentalist by heart & also works on sustainability of mother earth.